The IGI UrbanMapper is a large format digital aerial camera. Simultaneously it is also an oblique aerial camera system, providing four views to all sides. It is the next generation of digital aerial camera systems for the production of large-format nadir and oblique aerial imagery within one single flight. 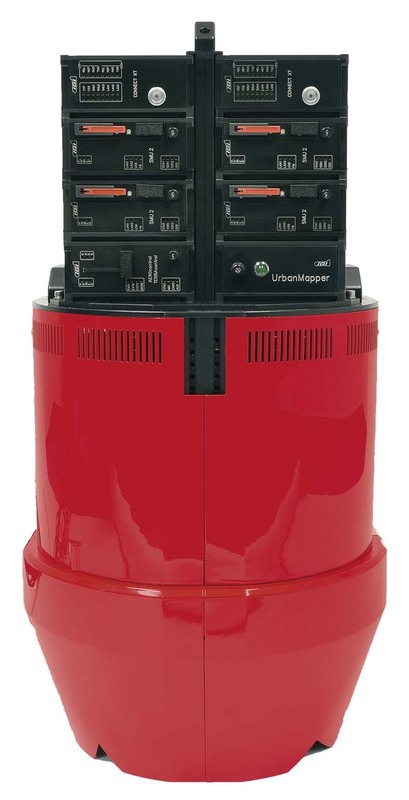 The IGI UrbanMapper offers outstanding performance with 0.6 sec image repetition time. With shutter speeds of up to 1/2000 sec and a high dynamic range of 84dB, the camera produces brilliant imagery even under challenging light conditions.